This traditional pesto recipe gets a springtime twist with fresh peas and pea shoots! An easy, creamy pesto sauce perfect for topping pasta, chicken, fish, and more. 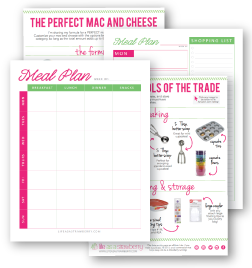 Ready in just five minutes with your food processor! I’m writing this post from the car (TECHNOLOGY. IT’S AMAZING) as Kyle and I drive through southern Illinois on a little road trip extravaganzaaaaaa. If you follow me on Instagram or Snapchat (username: lifeastrawberry. Jump on it) you probably already know that we hit the road a few days ago for a much-needed vacation. We drove out and spent some time in Chicago with Kyle’s family before heading down to Galesburg, Illinois (where we went to college!) for a friend’s wedding, and today we’re St. Louis bound to see some more friends and explore the city a little bit. I’ve never been to St. Louis before (despite living in the midwest for five years) so if you have any must-hit restaurant or activity recommendations, drop me a comment and let me know! We’re also planning to hit Louisville, Lexington, and Hershey, PA before ending up back in Ithaca early next week. WAHOO, ROAD TRIP! But let me tell you about this pesto. (It’s seriously the best-o). Remember this super spring-tastic lemon pasta? WELL. I’m bringing back the pea shoot love for one more recipe before these tasty, tender pea leaves run out their season. 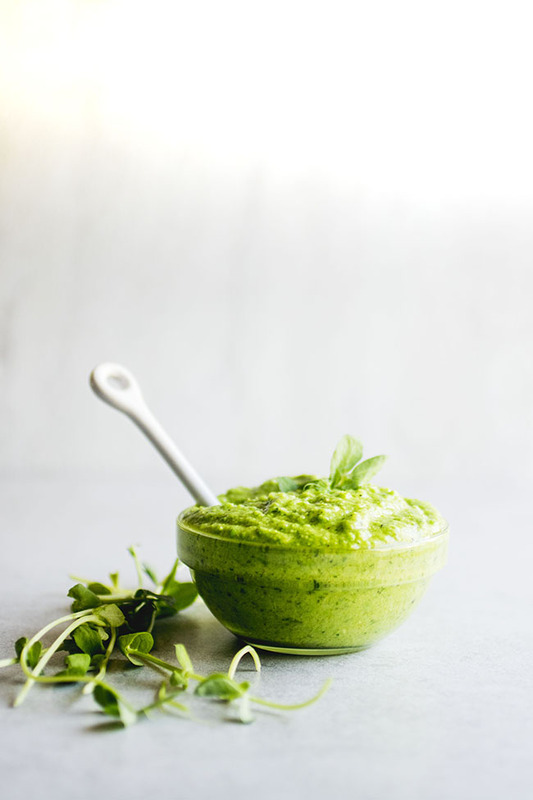 If you don’t have (or can’t find) pea shoots, you could replace them with parsley, basil, or arugula – but the light, delicate flavor of pea shoots really does make this pea pesto stand out. I love it as an easy sauce for pasta and fish, or as an addition to mac and cheese or soft scrambled eggs. 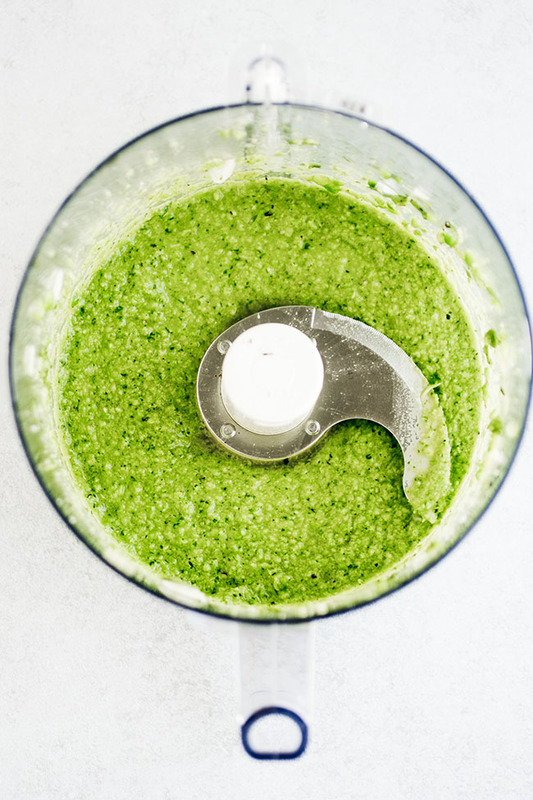 Also (BONUS) this pesto freezes really well, which means you can make a big batch for the freezer and enjoy the flavor of fresh spring produce all year round. 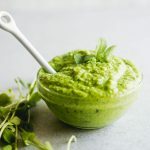 Easy pea pesto made in the food processor and ready in minutes. 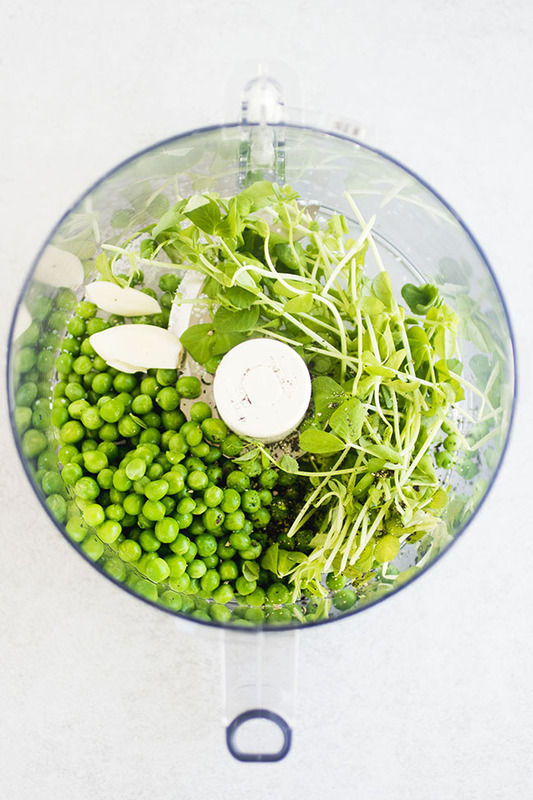 Place peas, garlic, salt, pepper, pea shoots, and lemon juice into a food processor. Pulse a few times until everything is coarsely chopped. While the food processor is running, slowly stream in olive oil and blend until everything is incorporated into a smooth pesto. Scrape down the sides of the food processor with a spatula and pulse once more to incorporate. Serve immediately or store pesto in an airtight container in the fridge for up to a week. This pesto also freezes beautifully if you want to keep it longer! 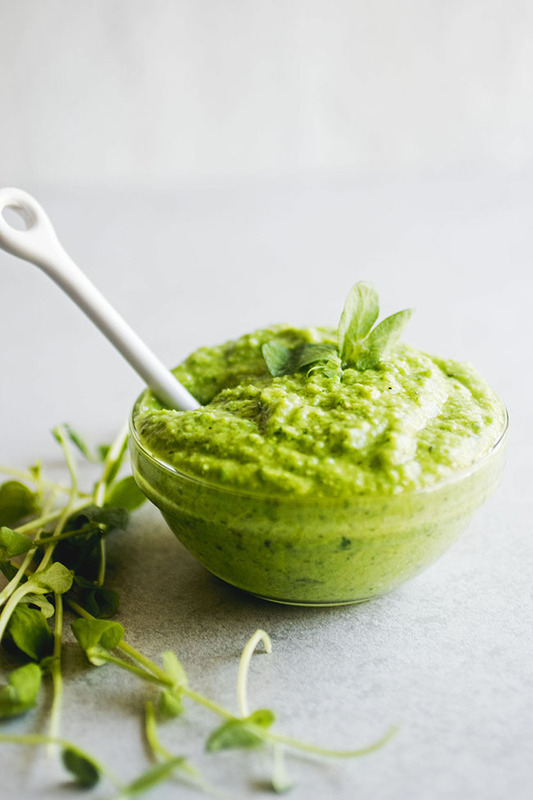 Frozen peas are fine – just defrost them before you blend them into the pesto! Feel free to add to this pesto recipe to make it your own. Parmesan cheese, fresh herbs, pine nuts, almonds, or hazelnuts would all be tasty additions. Use this pesto as a sauce for pasta, chicken, fish, you name it! This pesto is also delicious spread on a piece of crostini with a bit of goat cheese. Hi. Peas are un cooked? Thanks for the recipe. 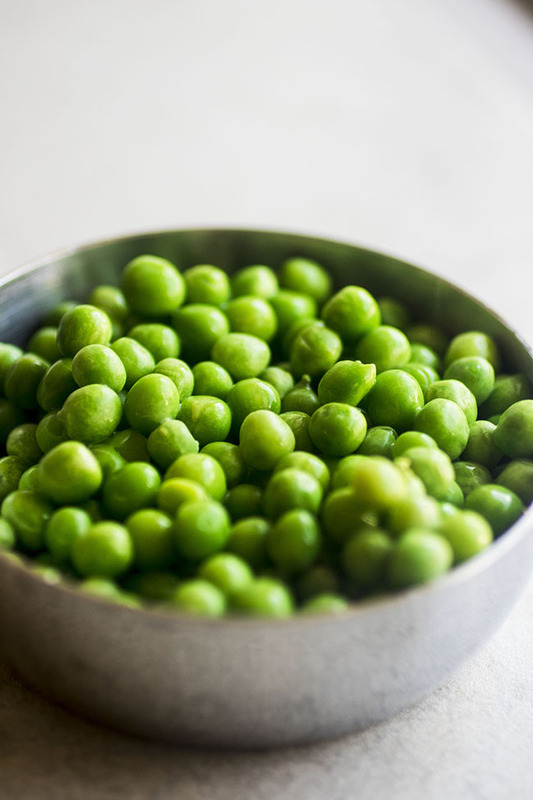 You can use raw, frozen, or quickly blanched peas! I love your 5 Minute Pea Shoot Pesto. I would also really love to feature it in our website Greenthickies. Would that be okay? Can I use one of your recipe images for it? I will not be posting the actual recipe, but only one image, title, a small quote and link directly back to the original post. Hi Katherine, thanks for your interest! Feel free to use a single image as long as you adhere to my site policies. Yay! ALL OF THE PESTOOOOO!